Jörn has been working as a research associate in the ISE research group since June 2014. Prior to this, he had a research associate position at Karlsruhe Institute of Technology (KIT)'s eOrganisation research group. In the past, he has also been a regular lecturer for professional training courses in various industries and has done several internships, e.g., at the IBM Thomas J. Watson Research Center in Yorktown Heights, New York. 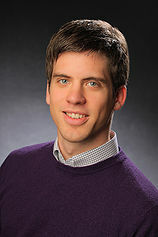 Jörn has a Diploma and a Master's Degree in Information Engineering and Management (2011) from KIT. Jörn's main interests are the design and benchmarking of modern and complex, distributed systems infrastructure including managed services, e.g., Google Cloud Platform, Amazon Web Services, Microsoft Azure, and open source systems, e.g., resource management (OpenStack), containers (Docker), cluster management (Kubernetes, Swarm, Apache Mesos), NoSQL (Apache Cassandra, Apache HBase, Riak), messaging (Apache Kafka), compute frameworks (Apache Hadoop, Apache Spark). Furthermore, Jörn is intersted in exploring continuous operation strategies for distributed applications running on top of distributed systems infrastructure. J. Kuhlenkamp and M. Klems (2017). Costradamus: A Cost-Tracing System for Cloud-based Software Services. Proceedings of the 15th International Conference on Service Oriented Computing (ICSOC17). Springer. D. Bermbach and J. Kuhlenkamp and A. Dey and A. Ramachandran and A. Fekete and S. Tai (2017). BenchFoundry: A Benchmarking Framework for Cloud Storage Services. Proceedings of the 15th International Conference on Service Oriented Computing (ICSOC17). Springer. J. Kuhlenkamp and K. Rudolph and D. Bermbach (2015). AISLE: Assessment of Provisioned Service Levels in Public IaaS-based Database Systems. Proceedings of the 13th International Conference on Service Oriented Computing (ICSOC15). Springer.